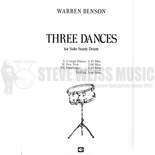 Jacques Delecluse's 12 Studies for Snare Drum is a fantastic collection of 12 etudes for snare drum designed to help students correct their technical and rhythmic inabilities, while creating a means of maintenance for the professional. 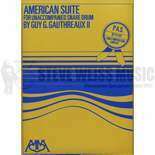 If you wish to attain a perfect mastery of the roll and develop precision playing in both hands, Twelve Studies for Snare Drum is an essential addition to your studies. 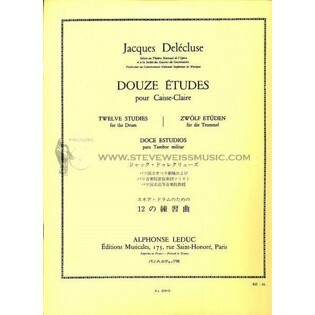 Delecluse's Douze Etudes have become standard material in the percussion world. 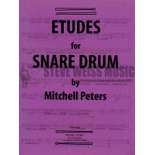 The etudes are well suited for auditions as well as the recital hall. They are found on the list for auditions for many, many colleges and universities. Excellent engraving and binding. Challenging pieces. Accurate and clean notation. Easy purchase....good product! Love working with a company that delivers what they say they'll deliver - no delays or nonsense! Thanks! This book challenges the player with "orchestral" and "French" styles of snare drum playing. Composed around the same time, it's a good contrast to Cirone's "Portraits in Rhythm." Both emphasize the need to move away from rudimental exercises and etudes to prepare for orchestral repertoire. If you aren't learning snare solos, etudes, or technique from this book, then you need to. Anyone who calls themselves a percussionist should own this book. This is an absolute must have book. 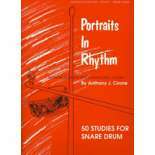 Pushing students to the absolute maximum, this book is practically a requirement for the serious percussionist. It finds and corrects errors with correct pedagogy and expands the rhythmic knowledge of students. Etude 9 is one of the most, if not the most, difficult piece of music in all of snare drum repetoir if played up to speed. So don't wait, buy this book!